Some days, I get to work and everything I have to do quickly closes in on me. This happens more days than I’d like to admit. I have articles to write, and other articles to edit, and I have content to upload to our CMS, and also, wait, did I not pay cable this month?! Well then, it’s time to stop everything and log into my Xfinity account before we lose access to Netflix. With the looming pressures of both work and life responsibilities, it’s easy to freeze up and shirk all to-do’s. This was my strategy in college, at least. I’d see the number of pages left to complete on a French essay, and fall swiftly into a stress sleep. Because these impromptu nap-times are frowned upon at the workplace, we have to draft other solutions. 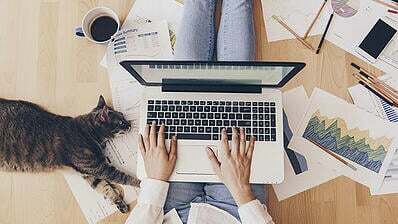 My colleague, Claire Brenner, has already provided our readers with tips aplenty on time management and reducing work-related stress. Having documented steps to any given task can eliminate questions and bottlenecks throughout the process. There’s one more thing to consider when it comes to checking off tasks and projects, and that’s prioritization. Some tasks or steps are more important than others. Some steps can’t be completed before the phase before them is completed. These are the responsibilities which should come first. 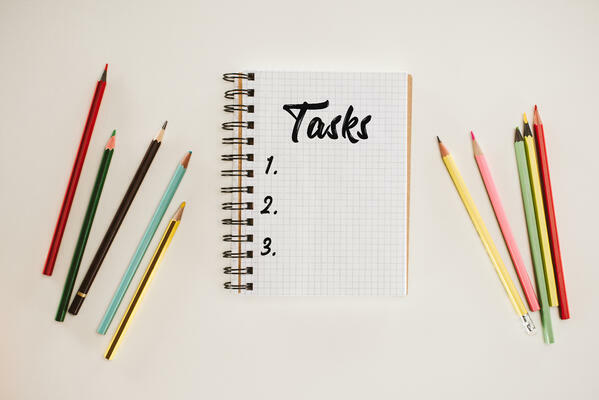 In order to help you create a more informed to-do list for projects or otherwise — ie when to complete things in addition to what to complete — we’re going to talk a little about deciding the importance of a task, project, or responsibility. You don’t need to be a project manager to benefit from a better grasp on prioritization. The effective organization of tasks is imperative for any professional’s success! However, prioritization is especially important in the context of projects or project management. With so many moving parts, a project administrator should be able to instruct their team and themselves as to what comes first. If you’re managing a project, consider the following as a guide to help you get things done in a timely and efficient manner. This sounds like the most basic of all advice, right? Create a to-do list. Of course, you already know to create a to-do list; that’s what’s driving you crazy! It keeps building in length and spawning new lists off of the original list. But seriously, write it all out. Getting it down on paper, or listing it within your project management solution, is a release in and of itself. Plus, getting it all down into a visual format is imperative for the following steps. 5 — The utmost importance. This task must be completed immediately. 4 — This task is pressing and should be completed immediately following the most important assignments. 3 — This task is important but not pressing. Complete following 4 and 5-level tasks. 2 — This task is necessary but not an immediate priority. 1 — This task is necessary but is less of an immediate priority than 2-level tasks. Your key can look however you want! You’re the cartographer for your own projects. One way to do this effectively might be to color-coordinate assignments. Many project management software will allow you to assign importance or assign a specific color to a task. If your team is organized best through visuals, utilize those strategies and features. Red could signify a task is urgent and needs to be completed immediately, and green could signify less time-sensitive tasks. Some solutions will even allow for the colors to change as time goes on. A task that doesn’t need to be rushed right now will eventually need to be rushed as it nears its due date. The important thing is to be consistent across projects and to assign priority honestly. Moreso, you should think critically about what makes a task urgent as opposed to important. Assigning tasks different numbers should help you understand what to complete first. Does something have a pressing deadline, such as end of day? That task should probably be a five. Is something important, but not due until next week? Maybe that task is a two for now. You can always come into work the next morning and re-assign numbers to the tasks. In the same way you come in and take on your work day by day, you can also assign priority on a daily basis. Another way to determine a task's priority is by utilizing project milestones within your company's strategy. Milestones are predetermined accomplishment markers that denote small achievements. One milestone might be beginning the assignment, while another could be the completion of a first draft. Teams could benefit from working to accomplish one milestone at a time as opposed to expanding their focus to the entire project. If milestones interest you and you'd like to learn more about this strategy, read my article on What is a Project Milestone (and why They Matter) to become your own expert source. This section relates somewhat to determining a task’s priority. Before you can decide how important something is, you should consider who or what it’s for. What will happen if it doesn’t get completed? For example, say you have tasks that need to be finished for a client, but you also have a hefty amount of internal work to accomplish. Consider the value and consequences of each. In Exhibit A, you don’t complete a client’s project on time, but you complete internal tasks. This angers your client and puts them behind in their own work. Maybe you get the work to them in a week or so, but even if it’s perfect, the damage to your relationship has been done. You can most likely expect for them to go with a different company the next time they need work done. In Exhibit B, you complete all outgoing work but don’t finish up a few internal assignments. What happens? Maybe you get a slap on the wrist from a higher-up and are told to strategize better next time. Does it feel good? No, but it feels a lot better than losing a client due to late or substandard work. In short, consider those your responsibilities are going to affect. Who can wait for a project, and who needs something done today? If you’re not client-facing, you can still have these types of debates within your workload. The same question still applies. Do you have a colleague and a CMO both arguing for your time? Hint, hint: go with your CMO. Considering who a task affects will ensure none of the big stuff is left behind. As a project manager or anyone who is in charge of delegating and completing assignments, you ideally have a good idea of how long tasks take. If not, sit down with your team at the next meeting. Ask your team members to write down everything they do in accordance with their role – and I mean literally everything. Ask them to estimate how much time they spend per week working on that assignment, task, or recurring responsibility. This will help you create a detailed time sheet that informs you, as a manager, whether workloads are manageable. If this is too much to accomplish during a team meeting, ask team members to complete this assignment on their own time. When prioritizing tasks, sort them out into their various time commitments. This might help if you have tasks of a conflicting priority level. Say, for example, you have two level-five tasks that need to be completed by end of day. Having their projected effort calculated beforehand will help you assess the situation clearly. If you know one is a 30-minute ask and one will take three hours, get the longer task out of the way first. That way you unload the heavier responsibilities off of your plate first and leave your afternoon brain to handle a shorter assignment. I refer to afternoon brain as the way you feel around 2 p.m. after consuming a carb-loaded lunch and too much of the leftover Halloween candy in the kitchen. Do you get afternoon brain, too? I’m getting it right now! If you prefer to do the easy stuff first and get it out of the way, try it out and see if that strategy works! The main point here is to understand your responsibilities and put them in a proper order. 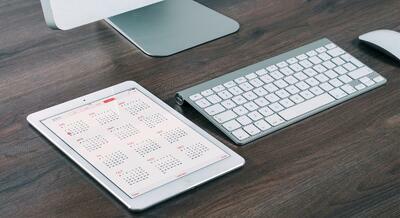 Check out our content outlining time management strategies that can help you crush the workday. If you’re a project manager, again, you have a good grasp on how long everything you’re handing out tasks to complete. You also have a good grasp on what all your team members have been assigned and what they’re responsible for completing. One way to slim down a to-do list is to delegate tasks. 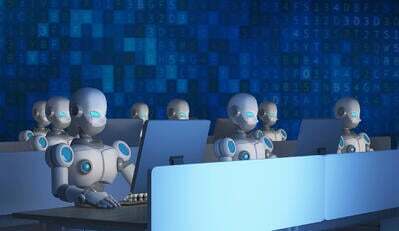 Perhaps you don’t have the bandwidth to complete something today, but an associate-level employee is running low on assignments. If this is the case, take one of the one, two or even three-level tasks we discussed and see if they can help you out by completing it within the necessary time frame. 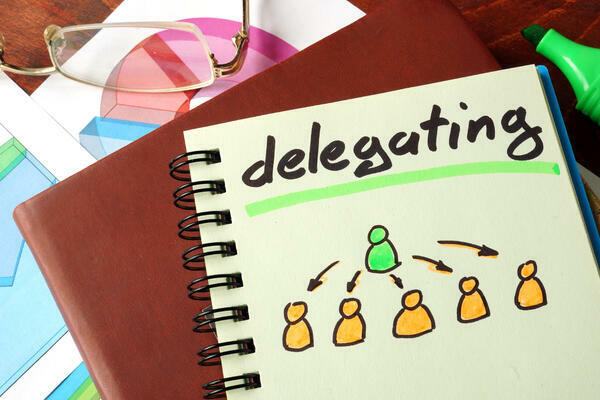 One downside to the idea of delegating assignments is that team members may lack training on certain tasks you’d like to share. You have to decide if the time it takes to train those employees is worth the time you’d save in not completing the task yourself. It’s worth remembering that training employees to do something small now could save you time in future moments as well as the present. You can do all of the rearranging and delegating you’d like, but when it comes down to it, a day is just a day. What I mean is, you can’t fit more than a day’s work into that timeframe. Look at everything you’ve written down and the time estimates beside each. Take into consideration all of the varying factors we’ve discussed throughout this article: effort, consequences, and priority. With those factors in mind, design yourself one day worth of work. Trying to do more than this will only serve to stress you out. Remember the stress nap we mentioned in the beginning? Once you’ve decided on one full day’s work, take everything else and put it out of sight. Yes, these things still have to get done, but they don’t have to get done today. It will help if you get them outside of your field of vision, or use color-coding strategies to signify those tasks are for a different day. The next step? Get to work on what you’ve committed to accomplishing that day. You’ve thought hard about what all you can do and have made informed decisions as to what that day brings. Do all that is on your list. If you have one of those rare days of extreme productivity and finish everything by 3 p.m., grab your list of “to-do-later” tasks and get started on that, too. Alternately, remember that it’s okay to not accomplish everything on your list. I know, that sounds like it goes against everything we’ve been talking about. But at the root of it, you’re one person, and you have to stay flexible for the curve balls life throws you. Say your kid gets sick and you have to leave work to pick them up from school. Or the boss calls you into a meeting they previously didn’t invite you to. Or the coffee doesn’t kick in until noon and you spend the morning moving at a glacial pace. You should be prepared to adapt and regroup when unforeseen circumstances arise. It’s okay to move a few things over onto the next day’s list when needed. If you’re taking the level of urgency and importance into account, you should be able to complete all vital tasks with the time you do have! As you already know, projects are cyclical. Just as you near the end of one, you’re ready to kick off another and start the whole process of running toward a lofty goal all over again. Knowing that, it’s important that these strategies aren’t just one-time occurrences. You should be adapting and utilizing the same prioritization methods for every project you work on. If a certain strategy didn’t work well for you the first time around, it’s okay to regroup and try something different. But overall, you should be working toward a solution that sticks. It’s better for you and your team to have a consistent plan when attacking your many tasks and projects. Project management isn’t easy, and as you have just read, it requires a lot of foresight. You have to consider what’s most important, who’s most important, and how long a myriad of tasks might take. But the planning is ultimately worth it, as it keeps your team from scrambling toward completion and ultimately submitting a sub-par version of the quality work you could have done. And most importantly? Good strategies keep you away from stress naps. 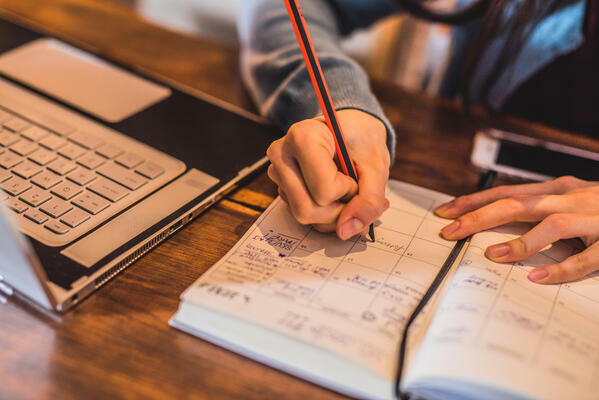 If you’re unsure of where to begin in your prioritization strategy, consider checking out the many free project management software tools on our website. Real users provide their insight to help you determine whether a vendor’s product lives up to their promise. Many of these solutions are equipped with the prioritization tactics we discussed and can help you take your team to the height of its ability. For more on time management, check out this article on how to work smarter, not harder to increase work productivity.